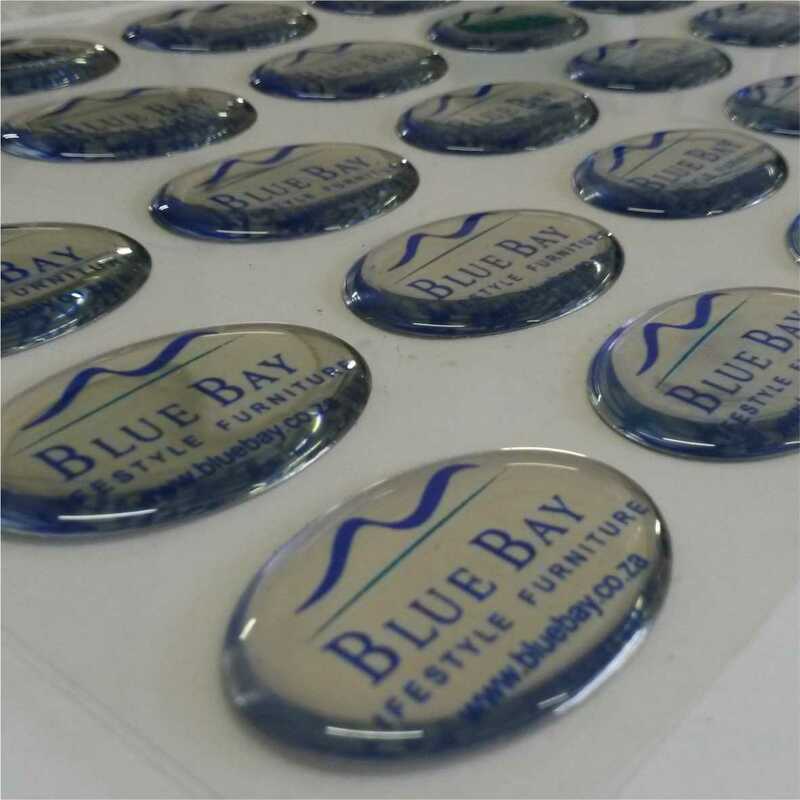 An exciting addition to our label industry is the stunning 3D effect of a clear resin dome label. These add a sophisticated look, and are self-adhesive vinyl based for easy and long-lasting application to any variety of surfaces, including anything from bookmarks, rulers, keyrings, to cash registers, canopies, copiers, factory machinery and furniture! The scope for these labels is limited only to your business imagination. VINYL BASE : The most commonly used vinyl base is a silver, mirror-effect vinyl that is durable and adheres very strongly to most surfaces.There is also standard white which can be transformed with a full colour print, though most labels are still traditionally screenprinted before doming for an exceptionally crisp print finish, such as the examples shown to the left. Mirror-gold and brushed silver are two other options available. Note that the base vinyl will only show where there is no print. QUANTITY : Larger quantities are more cost effective to produce versus (for example) individual name badge labels. Do keep in mind that there is a limit to the complexity of the label shape due to the natural properties of the resin.